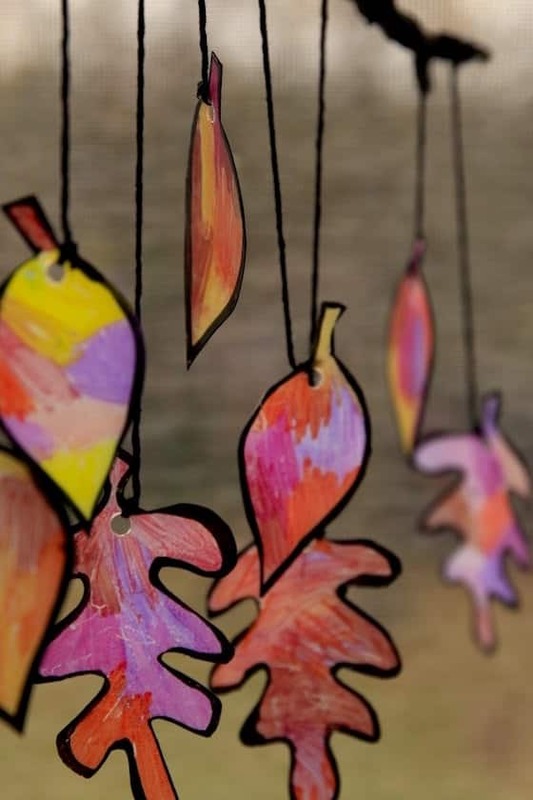 This easy, awesome fall leaf sun catcher craft is a beautiful craft for kids of all ages. 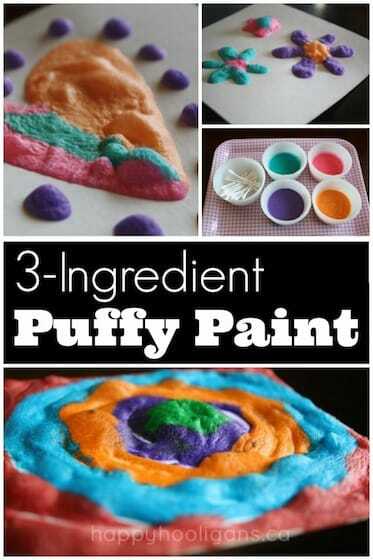 Super-fun, super-easy, and you’ll love the vibrant results! Well, it looks like Fall is finally coming to an end in our neck of the woods. It’s been a beautiful autumn this year, and we’re sad to see it go. 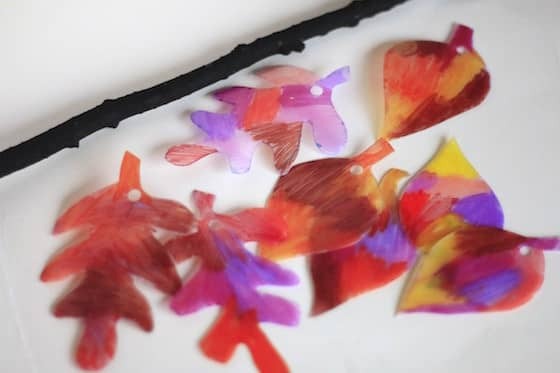 The kids have made a ton of assorted fall crafts these past couple of months, and decided to do one colourful leaf craft today before shifting gears into Christmas craft mode. 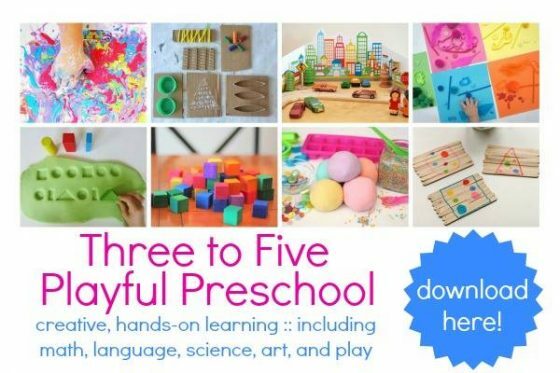 I am SO excited to show you what we made! 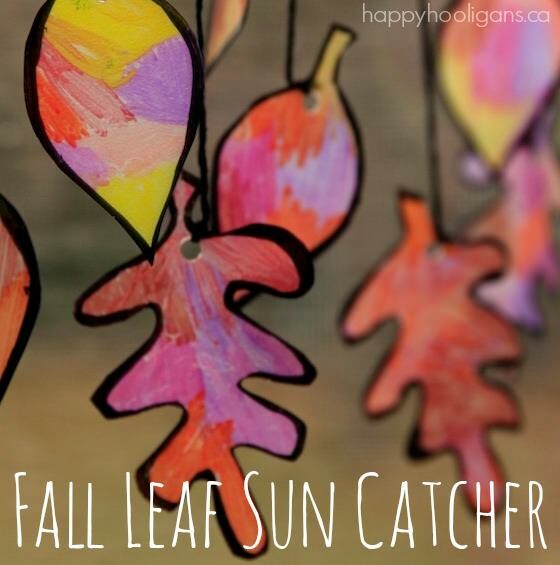 Behold the simple but gorgeous Fall Leaf sun catcher! I am so in love with it. We made our sun catcher using “leaves” that we cut out of an opaque, plastic vinegar container. 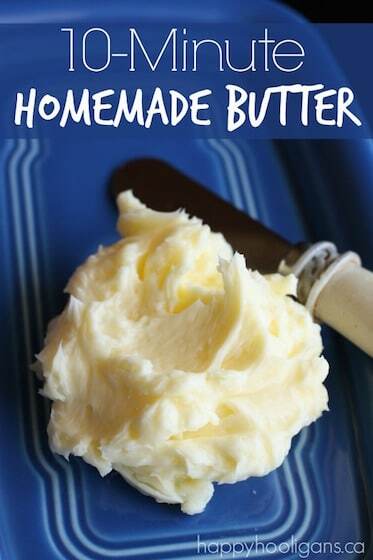 The container is similar to a plastic milk jug so if you have one of those, give it a rinse, and keep it handy. 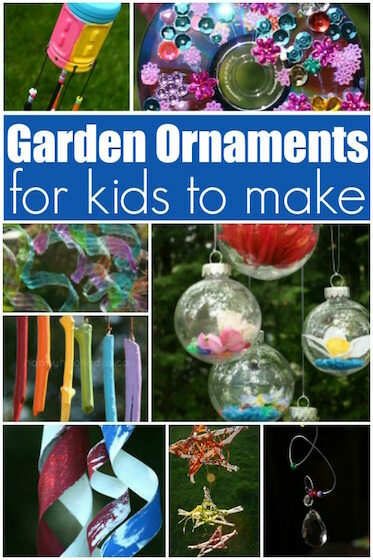 You are definitely going to want to make one of these with your kids. 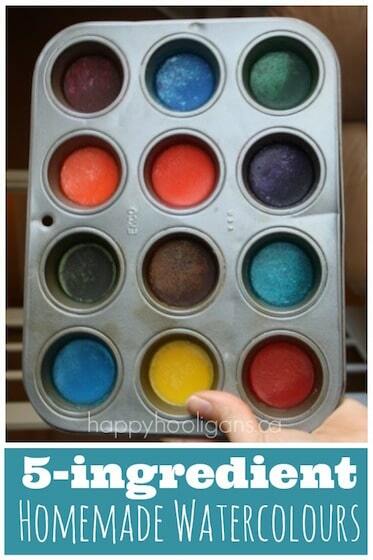 Opaque containers are great for crafting with, so don’t throw them out. 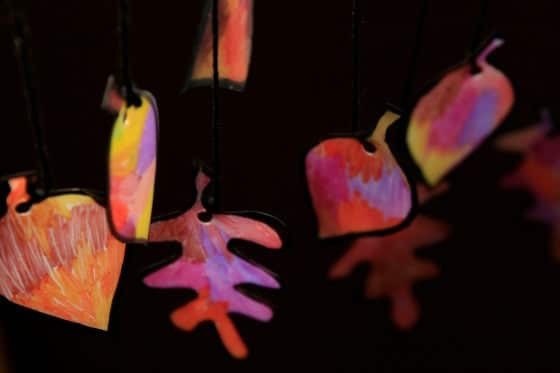 We’ve used vinegar jugs to make bookmarks, Christmas ornaments, bird feeders, and a few years ago, the toddlers made these Halloween sun catchers. Today’s sun catcher looks a little more sophisticated than the toddlers’ Halloween sun catchers because my helpers today were two of the older hooligans. Don’t let this stop you from trying this one with younger kids though. 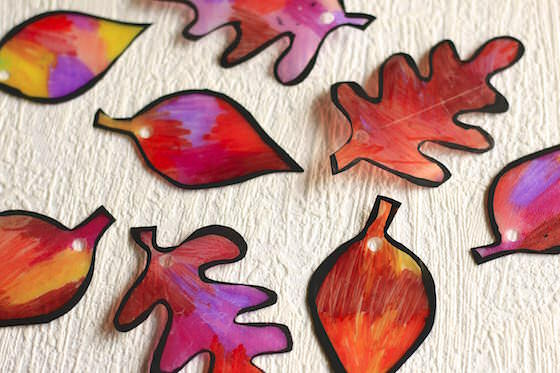 If your child is old enough to colour, they’ll be able to make our sun catchers with some help from you. I may have included a a few too many photos in today’s post, but I couldn’t help myself! I wanted to share them all because they’re so beautiful. 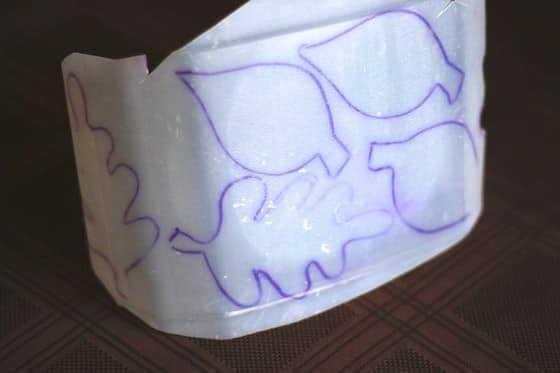 I began by drawing a couple of leaves on a piece of paper to use as a template to trace onto the vinegar jug. 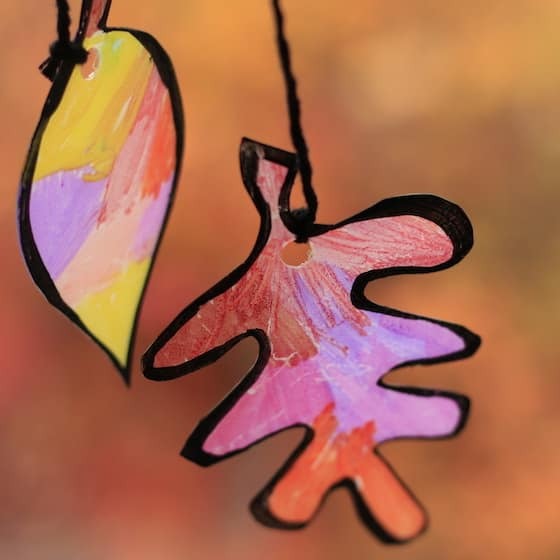 If you can’t draw-free hand, there are lots of sites with leaf printables. Personally, when I find one I like, I expand it on my computer screen, and then hold a piece of paper up to the screen, and trace it from there. 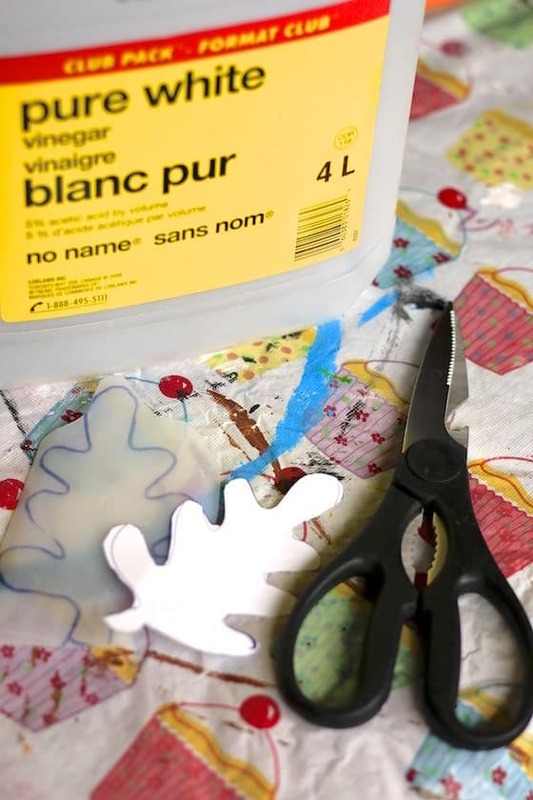 I cut out my paper leaves, and traced them onto the front, back and sides of the jug. Sometimes a leaf wouldn’t fit entirely on the flat surface, and would slightly wrap around the curved edge. It’s kind of cool when that happens because your leaf will be a bit wavy when you cut it out. With a sharp pair of scissors, cut out your leaves. 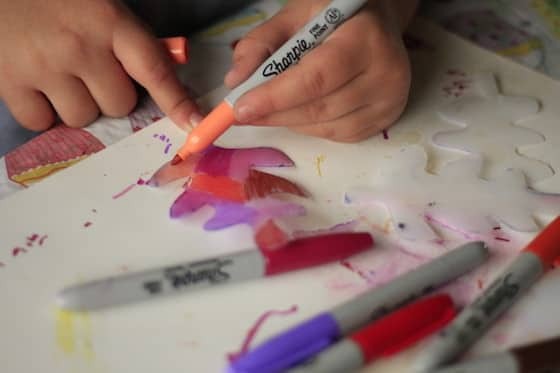 While you’re cutting, have your child paint the stick with black acrylic paint. 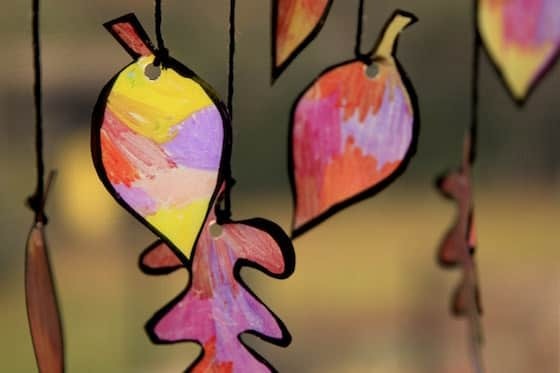 Then, have your child colour the leaves with Sharpie markers. We chose autumn colours: red, orange, purple, brown and yellow. Don’t they look pretty already? 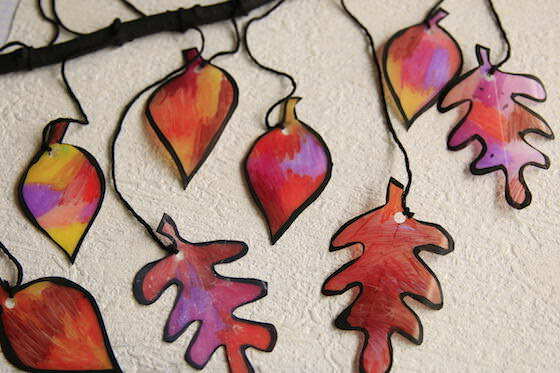 Next, to make our leaves really “pop”, we outlined them with black acrylic craft paint. This step was really fun. 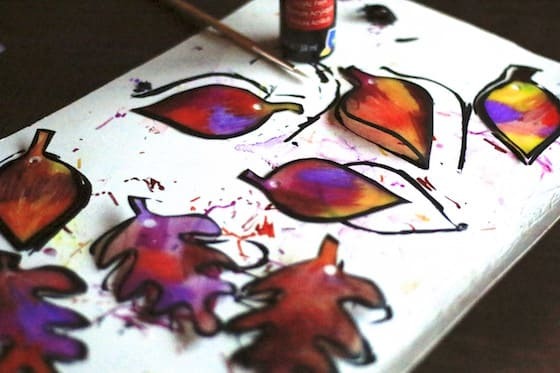 Protect your work surface with something because you will definitely get black paint on it..
Load up your liner brush with black paint, and paint around the edges of your leaves. It looks tricky but trust me, it’s not. You don’t have to perfectly paint the edge of the leave. Just follow the edge of your leaf with about half of your brush, allowing the rest of your brush to glide along the paper underneath. When you lift your leaf up, it will look amazing! Aren’t they cool? The black outline makes the colours really pop. 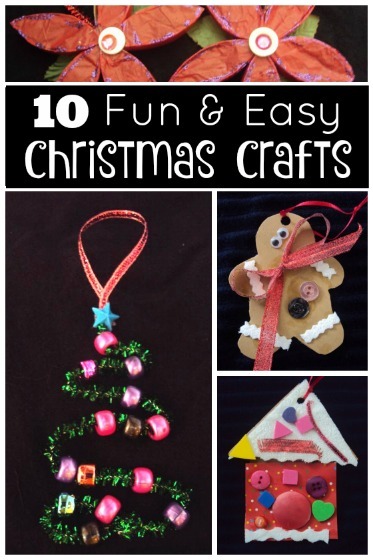 Next, punch a hole in the top of each leaf with a single-hole punch. 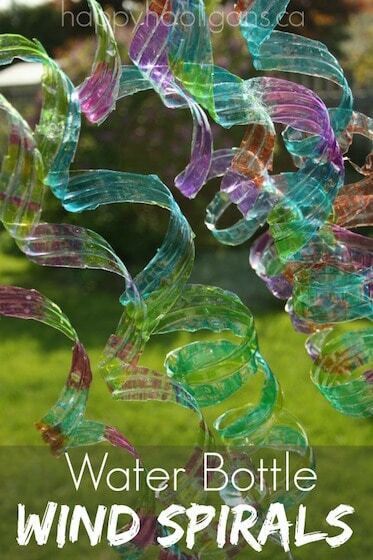 Now, cut a length of yarn, thread it through the hole, and knot it. Tie the other end of the yarn to your stick. Oh my goodness! Isn’t it fantastic?! Finish by tying a long length of yarn from one end of the stick to the other. This will be the piece that you hang it from. 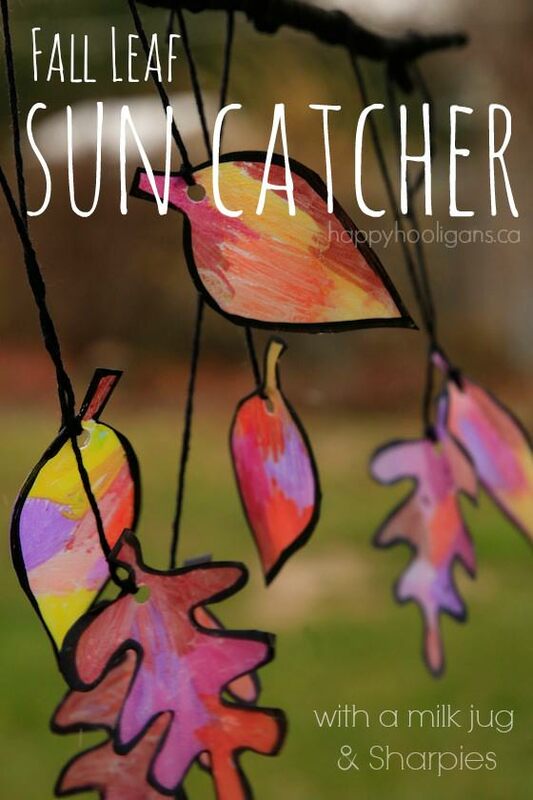 I hope you love our fall leaf sun catcher as much as we do, and I really hope you’ll make one with your kids! 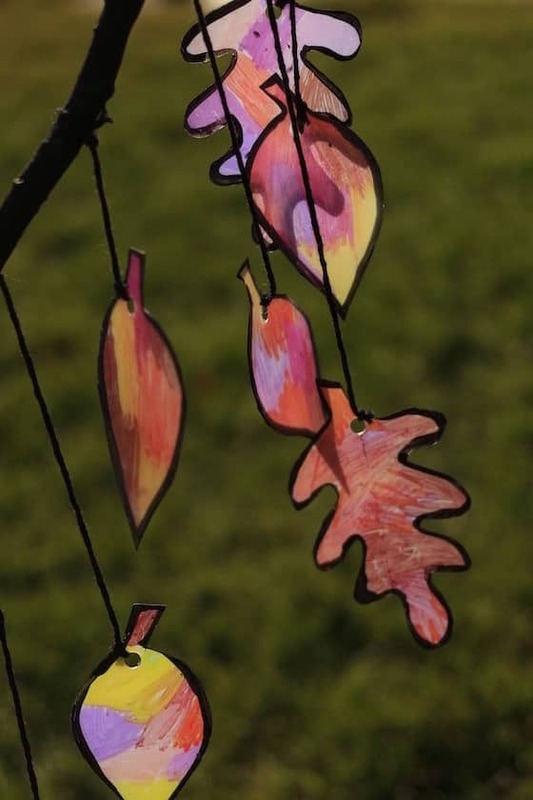 We’re going to hang our sun catcher in the kitchen window where we’ll appreciate the warm burst of colour during the cold and dreary season ahead.